Business Express (Distribution Management) | Business Automation Ltd. 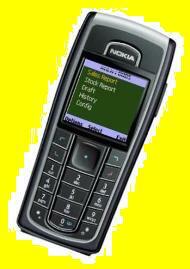 In todayâ€™s business world, the need for mobile solutions is growing rapidly. With increasing customer orientation, more and more people spend considerable time out of the office: service delivery people, customer service representative etc. At the same time, these external company representatives Are facing increasing demands for more information and faster turn-around, and expected to provide it all as inexpensively as possible. Business Automation has been working with such solutions since 2003. After success of using SMS in corporate data collection solution, which has been awarded as one of the best IT projects in Bangladesh (awarded by Bangladesh Association for Software & Information Services), the company has gathered the needs on market information collection of different local corporate. After the introduction of GPRS countrywide, the company has introduced the solution for Field Force Automation through mobile phones. Under the system, the employees will have pre-installed software in their mobile phones where they punch data like sales/order/stock information right in front of the retail point. The central server processes the data and provides necessary operational data support. The solution is extremely flexible and allows any sort of customization to meet the unique requirements of particular corporate. â€¢Â Â Â Can use suitable data connector for any industry standard backend database package. â€¢Â Â Â Data can be integrated with any internal CRM or ERP. â€¢Â Â Â Encryption and Decryption upon sending and receiving to preserve data integrity. â€¢Â Â Â Password protection. â€¢Â Â Â Restricted administrative access. â€¢Â Â Â Configurable as per the requirement and business rule. â€¢Â Â Â Configurable to any workflow system. â€¢Â Â Â Low operation in the device as all calculations are done on theÂ server side. 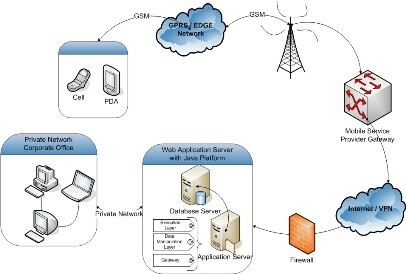 â€¢Â Â Â Java Mobile Edition enabled device with GPRS /EDGE connectivity. Please Click Here to View/ Download Bombay Sweets & Co.Ltd. Please Click Here to View/ Download M M Ispahani Ltd. Please Click Here to View/ Download British American Tobacco Bangladesh Ltd.